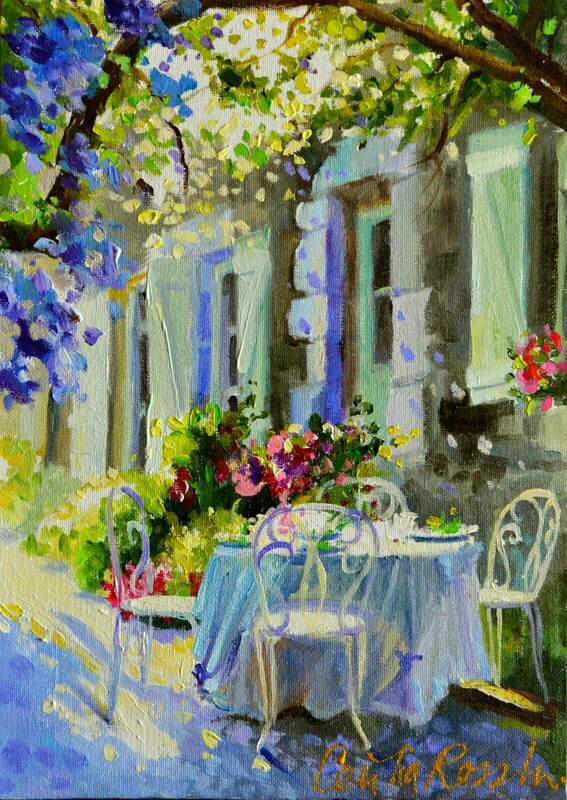 ART PRINT of PROVENCE, with it's purple shadows set off against the cool green shutters, is such a beautiful scene, celebrating everything that the South of France is known for! Just received my painting in the mail today. It is even more beautiful in person than I could imagine! Thank you so much! 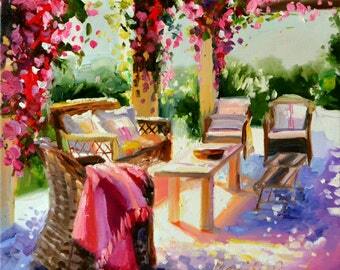 You truly have a gift to paint light! 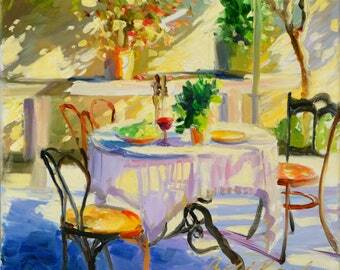 KITCHEN Wall Art of SUMMER TABLE | Painting of French Garden Scene by Cecilia Rosslee | Perfect gift for her! 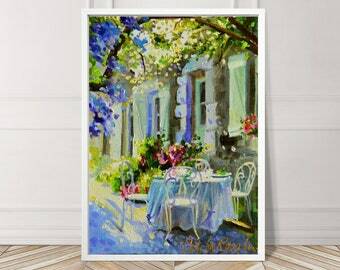 Art Print of FRENCH CHATEAU INTERIOR | Original Painting of Dining Room by Cecilia Rosslee | Perfect housewarming gift!